A 41 oz. 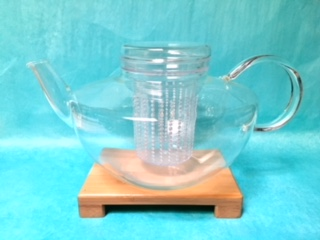 large glass teapot with plastic infusion basket and glass lid. Teapot width 10 1/2" and 5 1/4" in height.